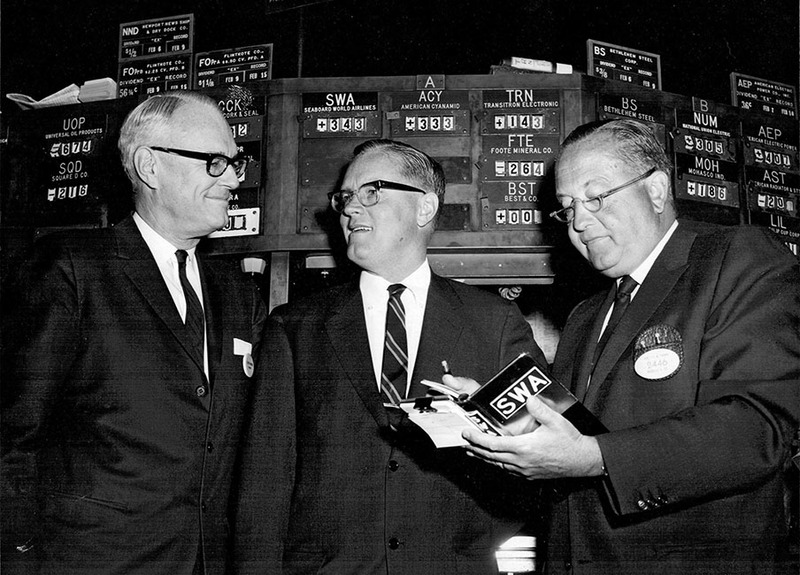 In early 1967, Seaboard World Airlines was listed on the New York Stock Exchange. Seaboard President and Chairman Richard M. Jackson, center, is seen here with president of the exchange G. Keith Funston on the left and an unidentified man on the right. 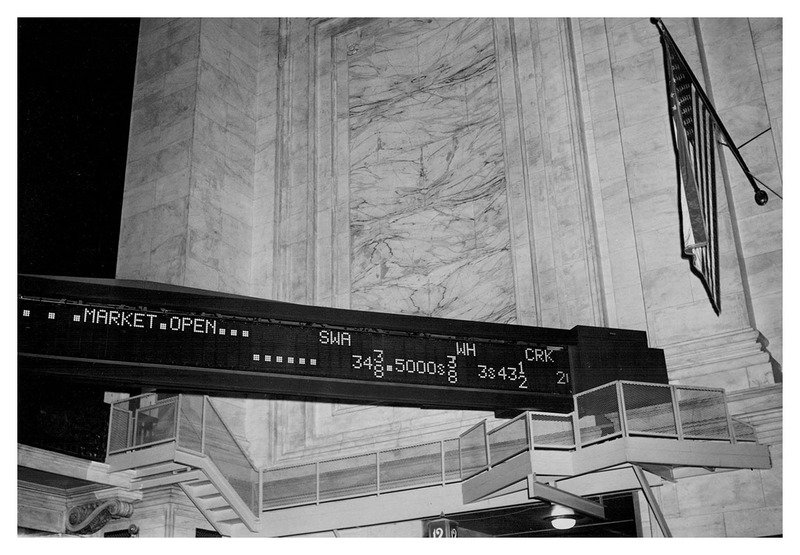 This photo shows a trade of Seaboard stock on the ticker.